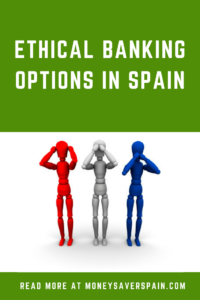 You may be surprised to see the words “ethical”, “banking” and “Spain” in the same sentence. However, there are banks and financial institutions that are differentiating themselves from household names in banking in Spain. The basis for ethical banking is one of transparency, investment in projects that have a social or environmental impact and not generating money via speculation. The institutions shown below may differ in how decisions are taken and the level of participation of their customers, but they are all trying to move away from the association of banking with corruption that has grown over the past few years. Triodos Bank operates in various European countries and has branches across Spain in the main cities, including the islands. The bank has over 150,000 clients who have given the bank a rating of 83/100, second only to ING Direct. On their website they state that they only operate with their own funds to finance projects in areas such as the environment, or social and cultural requirements. Information about the organizations and companies in which Triodos has invested is transparent and available to all clients. They offer a number of financial products such as current accounts, savings accounts (including one for children) and a debit card. Mortgages are available with an interest rate based on the eco-rating of the home, higher energy saving means a lower rate. Savings are guaranteed up to 100,000€ per account holder with the Deposit Guarantee System in The Netherlands. Fiare acts as an agent of the Italian bank Banca Popolare Etic. It’s a network of people and organisations that aim to create an alternative banking solution within the financial market. Fiare expects its customers be active members, decisions are taken in local and general assemblies. Currently the bank has 37,000 members (in Italy and Spain) and each member has one vote, regardless of the capital held. Savings and current accounts, loans, credit and debit cards are available. Loans must be for social or environmental requirements. Each loan is valued on its own merits rather than having a closed list of what’s acceptable. Fiare also offers current accounts for organisations and companies. Savings are guaranteed up to 100,000€ per account holder with the Deposit Guarantee System in Italy. More information at Fiare Banca Etica. This is a members-only co-operative. 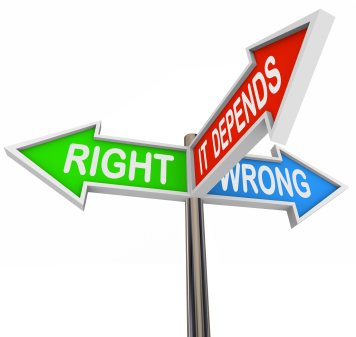 New members have to be accepted by an ethics committee and follow their principles based on solidarity. Individuals can save with Coop57 and loans are available for organisations and companies. As it is a cooperative and not a bank, savings are not covered by the Deposit Guarantee System in any country. However the website details how savings are guaranteed by internal procedures. IMPORTANT: The information above is merely an introduction to alternatives to traditional banks in Spain. It should not be taken as financial advice for investment or otherwise.